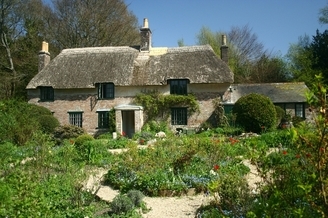 West Fleet Holiday Farm is at the heart of countryside made famous by J. Meade Faulkner’s smuggling novel “Moon Fleet”. It is also part of “Hardy Country”. But there’s much more for visitors to this uniquely beautiful coastline to enjoy. As well as being right on the World Heritage “Jurassic Coast”, Sea Barn Farm is just 5 miles from Weymouth Sands, making it ideal for seaside holidays. 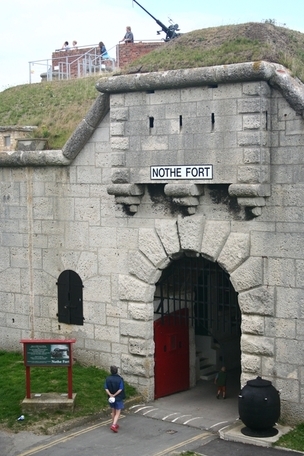 Once favoured by Royalty, Weymouth’s natural beauty, gently curving bay and Georgian seafront is complemented by its scenic harbour with its restaurants and the attractions of the historic Nothe Fort. Still used by commercial fishing boats and charter craft, the harbour is great for lovers of fresh seafood, fishing and all things nautical. Sea Barn Farm itself sits in magnificent countryside offering unique and unrivalled views of the Fleet Lagoon and Chesil Bank, which are part of an internationally designated waterfowl reserve.The Fleet Lagoon is home to the famous Abbotsbury Swannery, visitors to which can see the baby swans (cygnets) hatch each Spring! Abbotsbury itself is seven miles West of Sea Barn Farm and the picturesque village and subtropical gardens are a great day out any time of year. There’s so much to see and do in Dorset, we think you’ll be back for more, from excellent attractions like Swanage Steam Railway, “Monkey World” and Bovington Tank Museum to the Iron Age fort at Maiden Castle and many other historical sites. 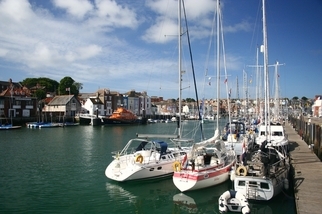 The area is also famed as a venue for international sailing events!